Steve Way Builders, LLC was contracted to complete a major home remodeling project in this home in Wacousta, Michigan. 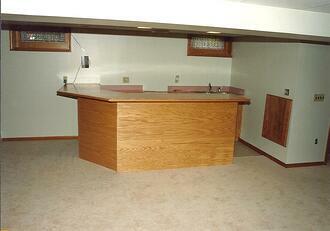 This basement bar and cabinetry set was the highlighted focal point of the remodeled, fully finished basement. The entirety of this cabinetry setup is 100% custom built. The cabinet layout was measured, designed and built with the homeowner's needs in mind. 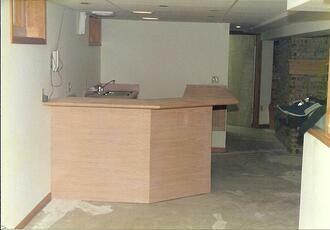 Each cabinet, shelf, door panel, and counter top was built on site. The lumber used for the bar cabinets and end panels consisted of oak plywood. 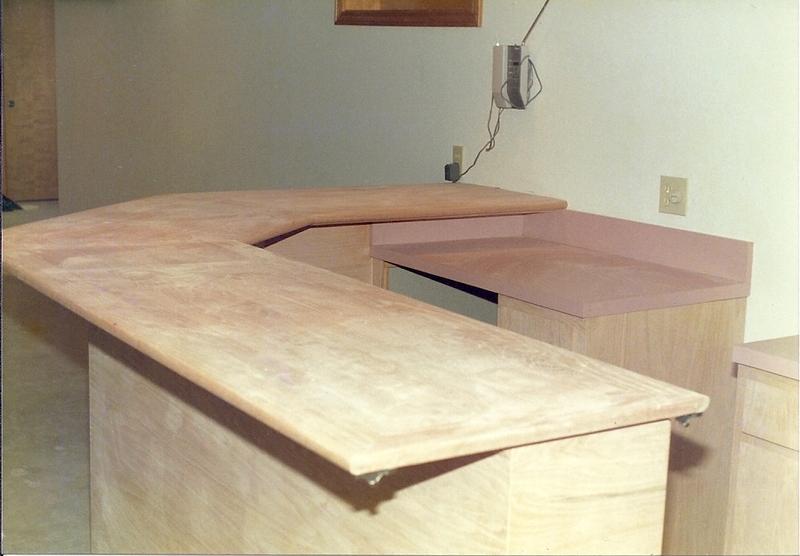 The bar counter top was custom made from 2 1/4 in oak flooring. The counter was sanded and sealed for strength and a glossy finish just as it would if it was being used as standard hardwood flooring. The basement cabinetry was finished with a wood stain and clear coat wood sealer. The basement bar was furnished with a full set of appliances to help accommodate the homeowner's hobby of canning fruits. A large sink was installed, along with a refrigerator and range that were hidden beneath the counters.